What is the most effective approach to dealing with crime and punishment? Should the criminal justice system primarily be used to punish those who violate the law by sending them to prison for lengthy terms? Or should it rather serve as a mechanism for rehabilitation? This dichotomous question is a polarizing one that aligns people on opposite sides of this argument and has shaped our penal system since its inception. When men and women come to prison, we invariably cost hard-working, law-abiding taxpayers across this country billions of dollars annually to feed, clothe, and house us. Our water, heat, medical and dental care are all paid for on the backs of hard-working Americans from all walks of life. Recidivism rates show that most of us who are eventually released will re-offend and return to these overcrowded prisons within three to five years, continuously costing taxpayers many more billions of dollars for our lengthy terms of incarceration. This bleak trend will, unfortunately, remain intact if prisons continue to be used to primarily warehouse inmates. Statistics show the higher the education one attains while incarcerated, the greater the likelihood of his or her success in the community, leading to a lesser likelihood that he or she will return to prison. Subsequently, the longer he or she thrives in a productive role in society, the more he or she will feel like a member of a community and not a criminal outcast. Earning a college degree or becoming certified in a trade while in prison is the key to this radical transformation and reintegration into our communities. Having noted these promising outcomes, I know it is also paramount that the individual who commits a violent felony pays for his or her crime by serving time in prison. The sensible thing to do is to ensure that prison doesn’t continue to have a revolving door that perpetually costs taxpayers and state budgets billions of dollars, but rather to educate prisoners so they can begin to contribute to society. Offer college and apprenticeship programs to prepare them for the ever-evolving technological and service-based occupations that comprise the 21st century economy. When people have more at stake to lose, they tend to think twice about risking it by doing something illegal. Understandably, many would vociferously rebut this assertion by arguing, “So, we’re just supposed to reward criminals with a free college education?” My answer would be pragmatically blunt: “No, you don’t have to offer any education of substance at all, but either way you’re going to spend those same tax dollars – either on lengthy incarcerations for re-offenders or on education that would enable them to contribute to society in an economically and socially meaningful way.” Which scenario benefits society more? I am dismayed that this country that offers abundant opportunity on one hand can simultaneously incarcerate more people per capita than any other nation on earth! We’ve become a state and nation that would rather warehouse human lives in the name of retribution than rehabilitate people for the greater good of our collective society. Ironically, every state in the Union includes the word “corrections” in reference to its prison system. The (fill-in-the-state) Department of Corrections sounds as though its department is primarily designed to correct or rehabilitate its occupants – but how? This is paradoxical to say the very least. Personally, I’ve been extremely blessed to have had the financial means and support from loved ones that have enabled me to attain a college education. When I started this journey in 2004, I’d made the decision to make the most of my time by getting a college education and becoming a substance abuse counselor. I didn’t know how this was going to happen, but I was nonetheless determined. When I arrived at the Eastern Oregon Correctional Institution in 2005, I began taking college courses one at a time for $25. After my father passed away, I used my portion of his life insurance policy to fund my education via correspondence. I began independently taking courses from other universities, earning a Certificate in Human Services from Louisiana State University, AA from Indiana University, BS in Sociology from Colorado State University, and an MS in Psychology from California Coast University. I was certified as a recovery mentor last year and recently as a substance abuse counselor. Good for me, but what about everyone else? 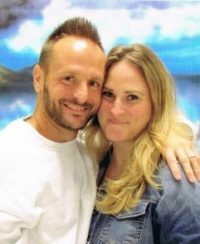 It disheartens me when I think of the lack of opportunity for countless others in Oregon prisons because they have been institutionalized with no real opportunities to rehabilitate themselves and gain something tangible to show for it. Sadly, this deplorable trend will only continue if retribution over rehabilitation remains our state’s and nation’s motive for incarceration.